With some bold and bright lip colours in for spring, now’s the time to brush up on how to make your lipstick colour last longer, so you don’t have to reapply it every hour. Love wearing lip colour but wish it wouldn’t disappear so quickly? 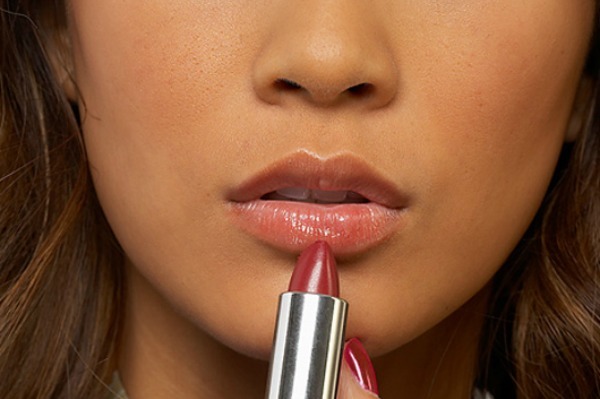 Here are some ways to make your lip colour last longer. Lip liner tends to stay put longer than lipstick, so your best bet is to start by lining your lips as a base. Look for a lip liner in a shade as close to your lipstick as possible. Don’t just outline your lips, or you’ll risk having the showing; instead, fill in your entire lip with the liner. It’s common sense that a lipstick with a longer-lasting formula will last you longer than a regular one. Formulas have come a long way, but these longer-lasting ones can sometimes be a bit dryer than a regular lipstick. So be sure to swipe on a lip balm (nothing too greasy — you want your lip colour to stay put and true to its colour) before your lipstick. For the lipstick, rather than applying it directly from the tube, use a lip brush. It will take longer and you’ll have to clean the brush, but it’s worth the extra effort. When you apply lipstick with a brush, you not only get more precise application, you press more of the product into the tiny lines that are on your lips, creating a longer lasting pout. After you’ve brushed on your lipstick, take a tissue and gently blot off excess product. Next, layer a thin dusting of translucent powder onto your lips for extra staying power; the powder (along with the liner you applied at the beginning) will help keep the lipstick from feathering and bleeding. A softer, more neutral lip colour will be more forgiving and you can get away with not reapplying it as often. If you’re choosing to go with a bright red, fuscia or orange lipstick, however, no matter how carefully you follow these steps, you will need to reapply more often if you want the lipstick to look good. Keep that in mind when choosing what colour to wear. Lip glosses, thanks to their moisture-rich consistency, will naturally slip off and disappear more quickly than a lipstick will. If you choose to wear gloss, accept the fact you will need to reapply it frequently.